We were approached by Venture Taranaki to tell our story of why we chose to live in New Plymouth, Taranaki, and why we like living here. Venture Taranaki in their own words, “exists to help Taranaki reach its potential. As Taranaki’s Regional Development agency we are here to boost the local economy. 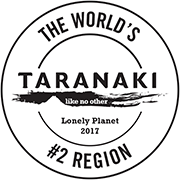 Our vision is to help businesses grow and prosper, and to grow the visitor industry and global brand of Taranaki. We have personally used almost every resource that the Trust provides – from personal job searches, checks of our resumes/CV’s, small business planning, tourism information to specific meetings to discuss the House’s rates, and business plans. They have truly been an amazing resource for us – and the best part – it’s free for residents of this great region. WOoohoooo! The interview was fun to do, to try and put into words why this place makes us happy, and why on top of being close to Rod’s family and friends, why I felt safe in leaving my family and friends, and became comfortable making this town in NZ my new home and embarking on a dream. Stories….we all have them. I am asked quite regularly how I came to be here. “You’re from NY? How did you find yourself here?” I do like to make people laugh in the same way my dad did, and do often answer, “I followed a pair of blue eyes, and rugby shorts.” But the true answer is much more rich – would take a long time to tell, involves some significant heart ache, subsequent joy, and was not such a clear path as that not-so-funny joke. But it’s my story…one that may require a cup of tea, or glass of wine to truly settle in and tell. For now, this one will do!